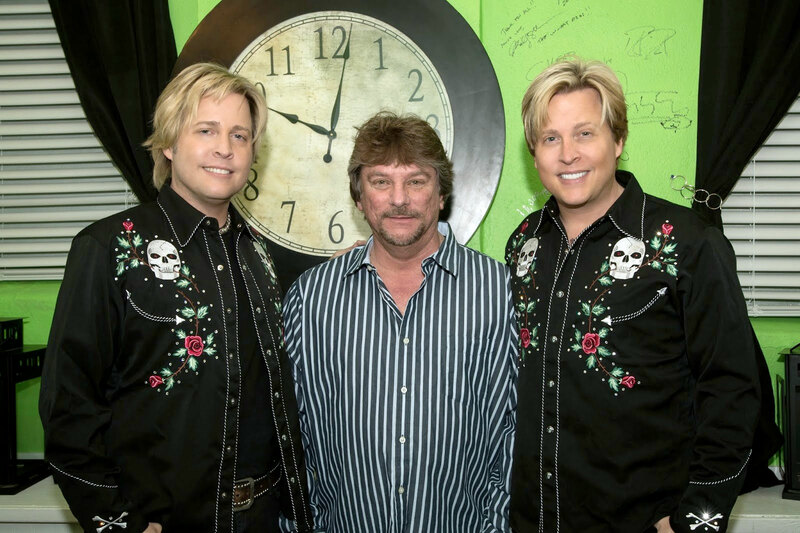 Got to speak with Matthew Nelson, who along with his twin brother Gunnar (Greg interviewed him last year), makes up the group Nelson. They're back on tour with the show Ricky Nelson Remembered, which celebrates the life and music of their famous father. I asked him about songwriting. I said, "Why did you start so late?" And in a nutshell, he said, "Listen, I would have given away all of my #1 records that I had early in my career for 'Garden Party,' because it was a part of me. If you continue to write songs and you're lucky enough to have a hit with a song you wrote, you'll know what I'm talking about, because there's nothing like that feeling." He said, "Hey, it felt great to have hit records other people wrote for me. But when you've written something that becomes a part of people's lives, a part of their soundtrack, there really is nothing like that. I still get a rush every time I hear one of my songs on the radio." Gunnar and I are still that way: If one of my songs comes on the radio, it's still a rush. I know what he was talking about. My dad actually never wound up writing a #1 song, and Gunnar and I were lucky enough to have that. We wrote our hits. Matthew and Gunnar were 18 when they lost their dad in a 1985 plane crash. One vivid memory Matthew shared I found quite moving. When he was 11 years old, he wrote a song and played it for his dad. Ricky Nelson didn't say anything about it, but when the twins turned 12, he surprised them by taking them into the studio to record the song. The backup singers who helped out turned out to be the Pointer Sisters. The Nelson Brothers came out and did a fitting tribute to the music of their father, telling little known stories and showing vintage video clips and home movies. Their vocals and musicianship were outstanding for a two-man band ... stellar in fact. At one point, Matthew said that doing the show is "obviously selfish," but there has to be some kind of push to get these songs back into the zeitgeist. A great example are the broadway shows that have reinvigorated the music of acts like Abba and The Four Seasons. Ricky Nelson was a very cool teen idol back in the day, my fav is[Travelin Man]he was cool in[Rio Bravo]also with Duke Wayne.